High Adventure in Deep Space in VENOM: SPACE KNIGHT #1! Flash Thompson is a lot of things. Soldier. Veteran. Double amputee. Host to a powerful alien symbiote. Guardians of the galaxy. Spider-Man’s biggest fan. 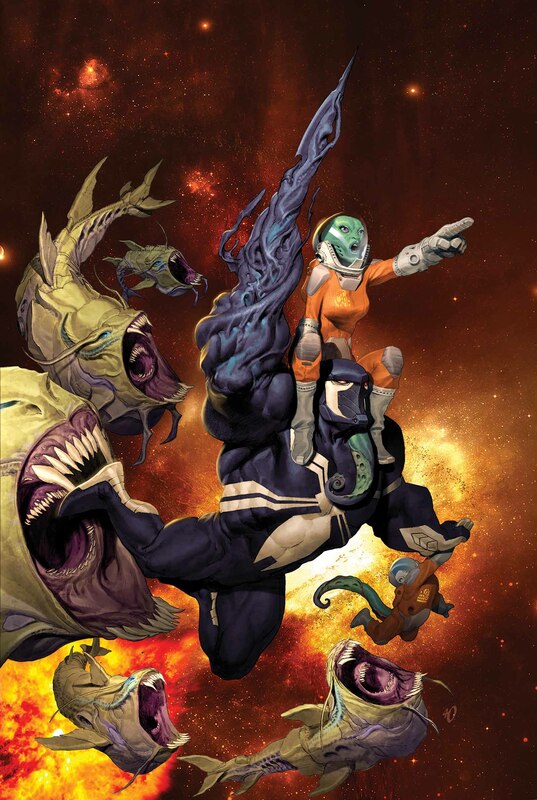 But now, apart from his fellow guardians, he’s going solo for a brand new ongoing series in VENOM: SPACE KNIGHT #1! From creators Robbie Thompson and Ariel Olivetti comes a tale of action, adventure and alien intrigue. Now an ambassador of Earth and an Agent of the Cosmos – Flash Thompson is getting to be the one thing he always wanted. A BIG. DAMN. HERO. Strap in, hold on and blast off – you won’t want to miss the start of a brand-new adventure as Venom swashbuckles across the universe in VENOM: SPACE KNIGHT #1 this November!